DB Cargo has launched a new, direct and two-way service between Cologne in Germany and Malmö in Sweden. The new train is twice as fast as the previous Malmö–Cologne service. Moreover, it now has a return journey. It takes the new train less than 20 hours to travel from Germany to Sweden. For customers, that means the transport time is cut in half, DB Cargo pointed out. The freight operator is establishing the new service following the positive response from its customers to the Malmö–Cologne line, that started back at the end of 2017. 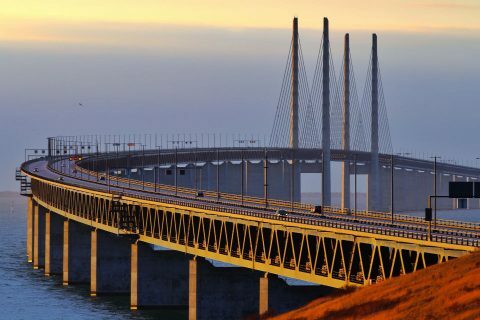 Among other freight, this connection transports steel products produced by the SSAB and Outokumpu Groups from Sweden to the Ruhr, linking key economic centres. Moreover, the integration into DB Cargo’s single wagonload network is a crucial advantage for customers, the operator argues. Although the new connection benefits the steel, paper and consumer goods industries in particular, the train is open to potential customers from different industries as well. “For consignors from the Benelux states, transferring freight to the new service in Gremberg or Wanne-Eickel also substantially shortens transit times”, said Andreas Morawietz, central capacity utilization manager in the Single Wagon Offer Management Team.